One last sketch for 2010 to say Happy Holidays! Yesterday, the silver books for Free Comic Book Day 2011 were announced. 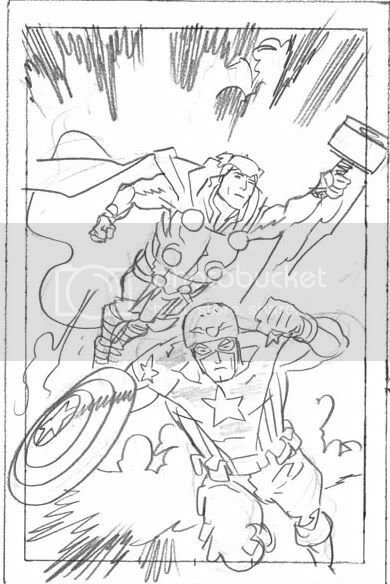 Among them is a new Thor: The Mighty Avenger & Cap story, written by Roger Langridge, drawn by me, and colored by Matt Wilson! Thought I'd go ahead and post the cover process. Hope you enjoy! 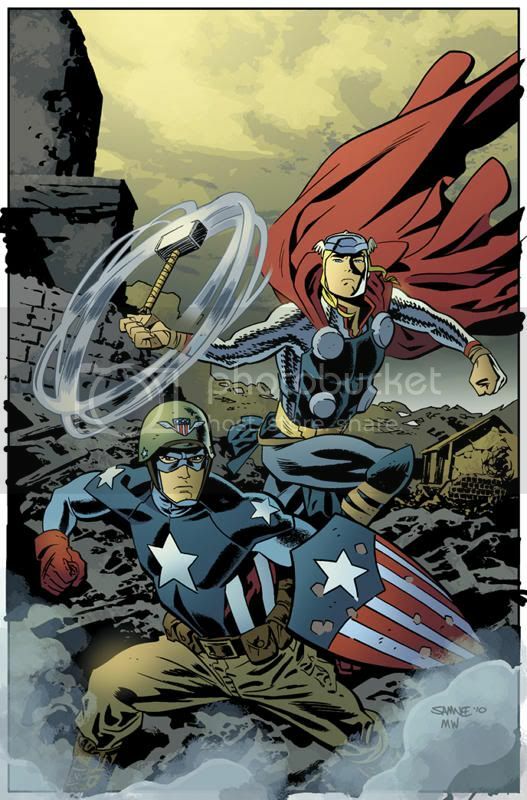 For the cover, I was asked to come up with an "iconic" type shot of Thor and Cap. The first two thumbnails were the choices I gave for that. 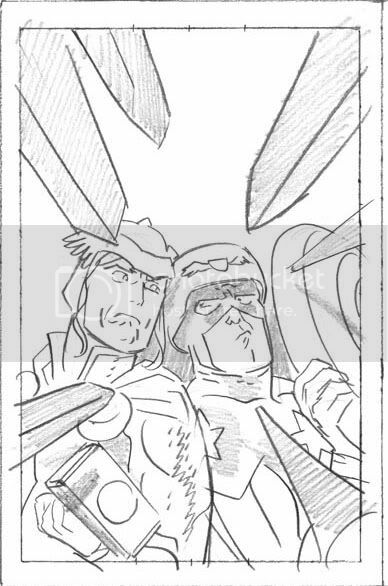 The powers that be ultimately chose thumbnail 2, which I still had a lot of fun with. 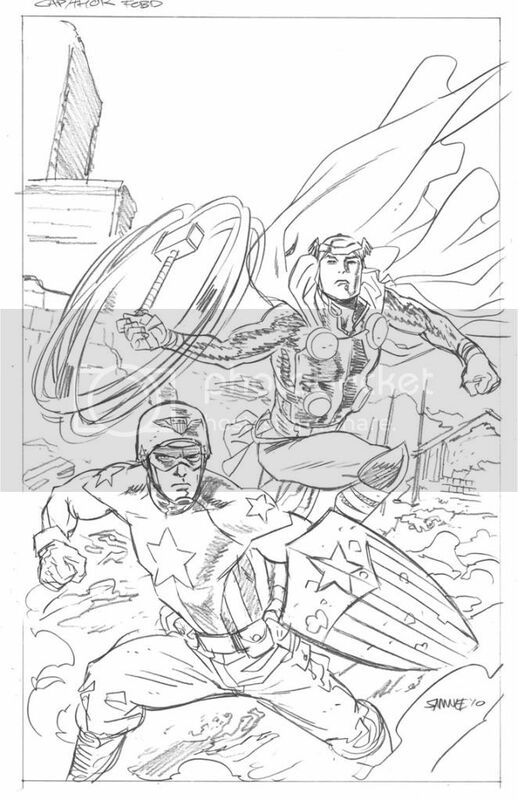 Here are pencils. And Matt Wilson's beautiful colors! Hope you get a chance to pick it up at your favorite comic shop in May! 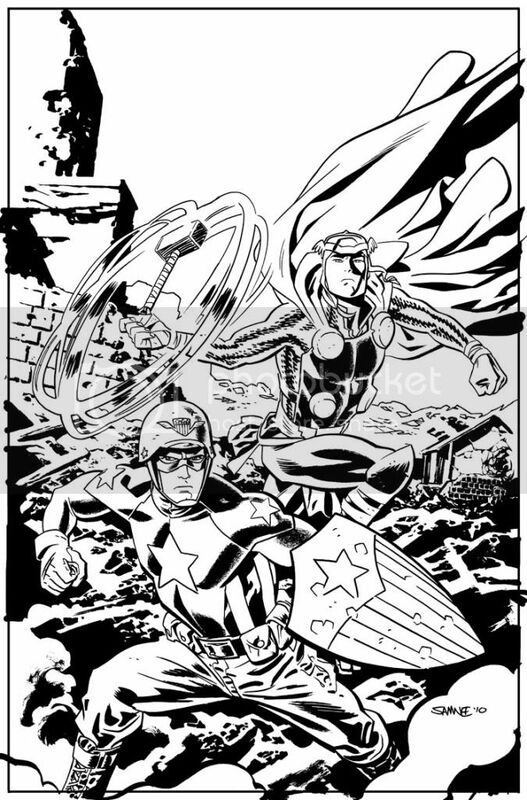 EDIT: A lot of folks have commented on the great design of Cap in this cover. 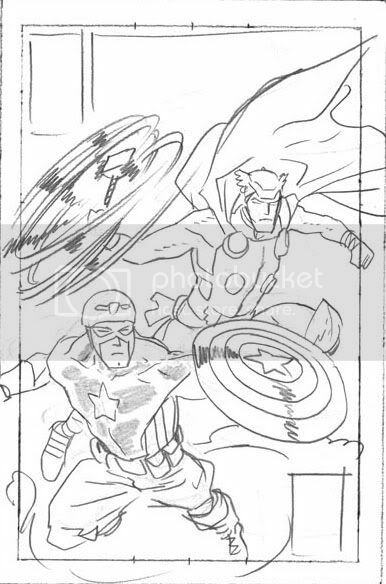 Just wanted to clarify that this Cap design was by Gurihiru for the upcoming Captain America: The Fighting Avenger with writer Brian Clevinger. As always, your support is much appreciated! You guys have made 2010 an incredibly amazing year for me! Newsarama has posted their first round of choices for the Best of '10 Tourney and I'm in two categories! 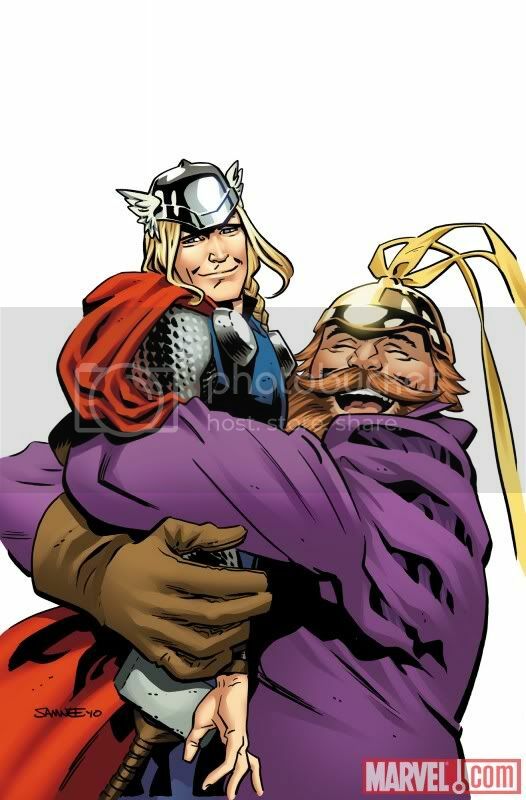 You can vote for me in their artist tourney here and if the cover for Thor: The Mighty Avenger #4 above makes you smile, you can vote for it here! Sorry for the lack of sketches lately, I've had some pretty hairy deadlines. Hope to be back sketching soon.